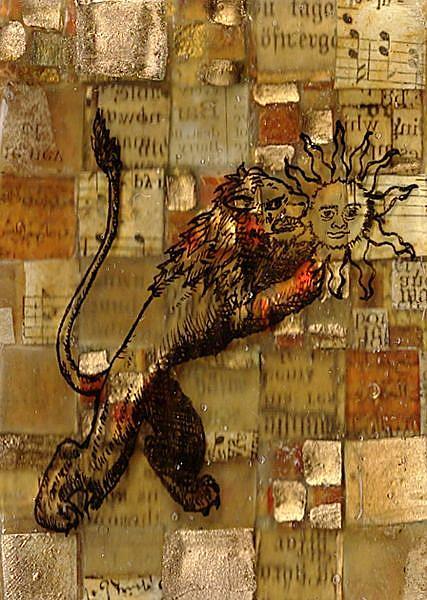 A symbol that appears frequently in the emblematic illustrations of alchemy is the Green Lion. Typically he is shown grasping and devouring the sun. 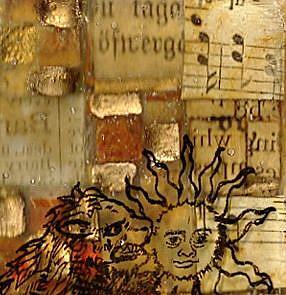 In metallurgic alchemy, the meaning of this is the power of sulphuric acid to dissolve all metals such as iron, copper, and even gold, the king of the metals (represented by the sun). 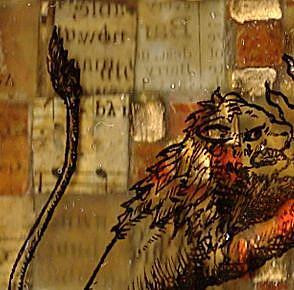 In organic alchemy, the alchemy of potions, the green lion stands for chlorophyll, made by plants “eating” sunlight. Modern interpretations of the “inner path” of alchemy see the green lion as a symbol of the way consciousness can be overwhelmed when bottled-up, intense emotions (the passions) are finally released. Have you ever loved something or somebody so much you wanted (perhaps irrationally) to simply devour them?